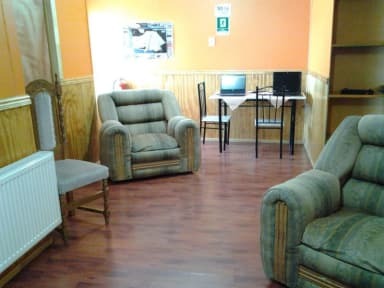 Hostal San Agustin, Puerto Natales, Chile : Rezerwuj teraz! 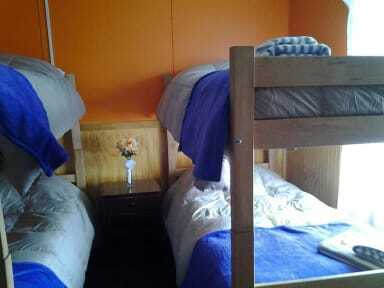 HOSTEL SAN AUGUSTINE offers: Accommodation in Puerto Natales, with shared bathrooms, lounges, TV. Cable TV, central heating, fitted kitchen. Continental breakfast is included in the rate. In addition the hostel offers to its customers, WIFI, luggage with a minimum cost of one dollar per pack, free parking. - Full Day Torres del Paine National Park. - Full Day Torres del Paine Base. - Regular flights to Bus Park. - Navigation to the Balmaceda-Serrano Glaciers. - Full Day Perito Moreno Glacier. - Argentina. The hostel is located 5 mts. Walk to the city center. No credit cards accepted, only cash payment.